A buck keeps watch on the valley floor as snows begin to cover the high country. Photo: Kevin Dirk. It was late November and driving, especially in the evenings that came around 4:30 now, meant watching carefully for deer, maybe even an early elk, along the road and throughout the valley. The North Fork valley—like valleys all over the state—is winter range for Colorado’s prized mule deer and elk, as it has been for many thousands of years. 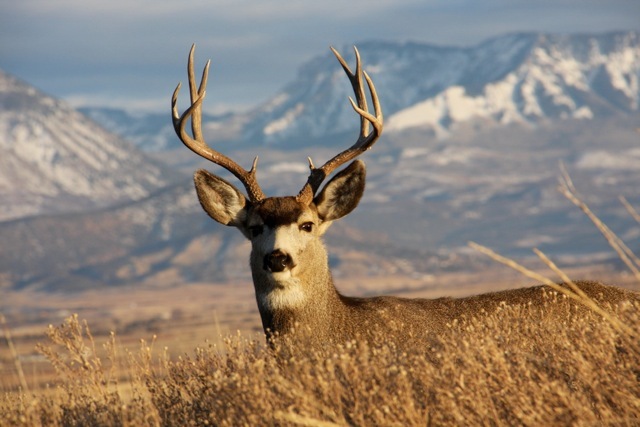 Mule deer and Elk are related species that follow seasonal migration patterns between higher elevation summer habitat and winter range in Colorado’s river valleys. Their habitat range is classified as ‘summer,’ ‘winter,’ and ‘transitional.’ The well-being of a herd often depends on access to good winter range, and it is there that animals concentrate to increase their chance of survival. Each year animals concentrate, then disperse back into their summer habitat. The routes they take between are also long-established, multi-generational passes and paths between valley and mountain. Elk and deer live in large home ranges divided into summer and winter ranges. The winter ranges of elk and deer are typically the lowest elevations in their home ranges. Because these areas are low in elevation, they generally have shallow snow depths that enable elk and deer to travel between sheltered forests and open foraging areas. Once they arrive in a winter range, they are dependent on the food and shelter they can find there until the snow melts in spring. Young elk and deer learn migration routes to winter ranges by following their mothers and other individuals. 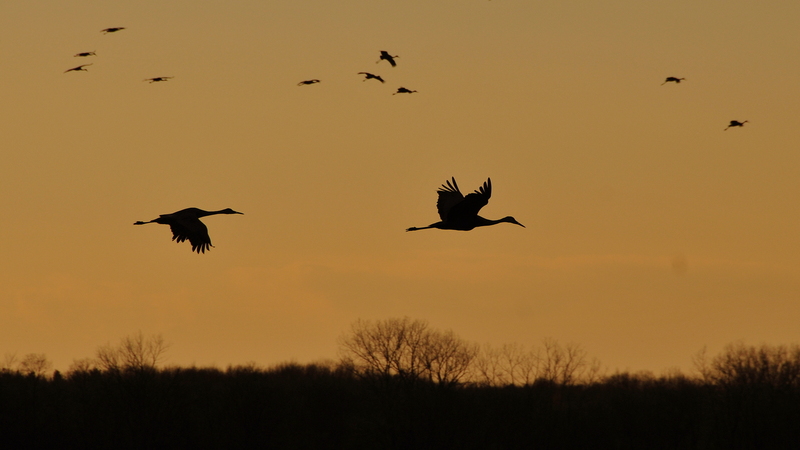 Consequently, these animals use the same migration routes and winter ranges year after year, and over generations. Migration routes can therefore be viewed as historical links to elk and deer herds from the past. They generally continue to follow these same paths to familiar places because they learned that they provide food, shelter, and water. 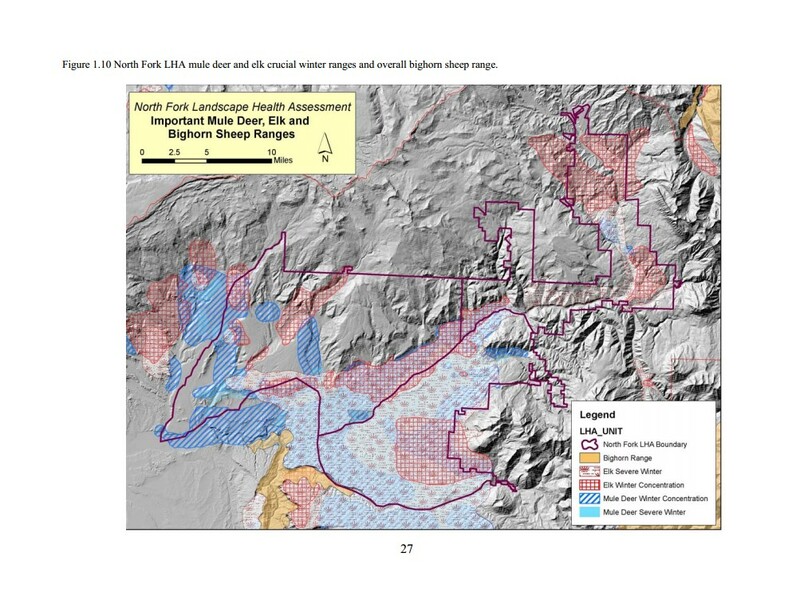 The North Fork Valley is deer and elk winter range according to the U.S. Bureau of Land Management’s assessment. Around the valley and on southern-facing slopes, deer are everywhere this time of year. A local elk herd takes up residence in the valley each winter, finding forage on the south-facing slopes of Garvin Mesa, or browsing in fields near the high school where sunshine has opened some patches in the snow, wandering down along the willow and box elder and orchards along the river. But seeing them a lot this time of year doesn’t always mean they are doing OK overall—this is where they gather and always have, to them it is people that are the interlopers. The deer and elk belong here, and add a picturesque feature to our mountain valley home. It is these same herds that in the late summer and fall draw hunters from around the country. Nearly 1,000 people are employed during the hunting season in Delta and Gunnison counties, according to a February 2012 letter from Colorado Parks and Wildlife to the U.S. Bureau of Land Management, which also noted that hunting brings in tens of millions of dollars to the local economy each year. (The letter is available in a Drop Box here as part of the ‘Exhibits’ zip file). Loss of winter habitat is a top concern when it comes to maintaining healthy wildlife populations. Protecting winter range and secure migration routes between winter range and summer habitat is crucial to healthy big game herds. Our homes are often built in valleys and foothills, and roads are constructed along the base of mountains. These areas are often the low-elevation areas that young elk and deer learned from their mothers to travel to each winter to find food and shelter. The largest member of the deer family also visits the North Fork valley from time to time, Moose. This time of the year you might see one in the afternoon along the upper reaches of the North Fork, in Muddy Country, or along the Anthracite. 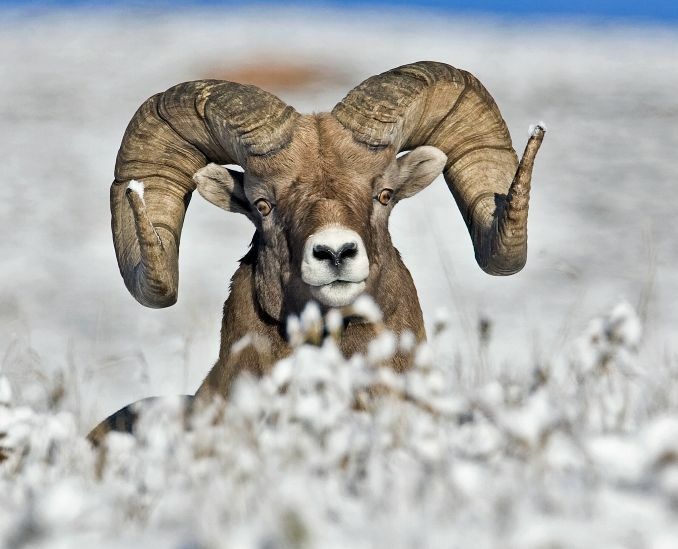 And perhaps even more iconic than the Rocky Mountain Elk in the pantheon of Colorado wildlife, the Bighorn Sheep is also nearby, in the Black Canyon of the Gunnison National Park and Gunnison Gorge National Conservation Area. We are lucky to have an abundance of species in our valley and its surroundings lands, but that also brings with it responsibility. Wildlife is a public trust. And for many wildlife has an intrinsic value of its own. We need to be aware that development of the lands in the valley can have far-reaching impacts on wildlife, well beyond just the impact we see on the ground. If we care about wildlife at any time of the year, we need to make room for these animals in our valley during the winter months. Even more than just slowing down a bit and paying extra attention when driving, we need to be aware of our overall impacts and the changes we are making to their habitat–especially winter range and migration routes where many of our activities are concentrated. Of course the North Fork’s winter wildlife is not limited to ungulates—mule deer and elk, moose, even bighorns—which do all make attractive features for area coyotes. So they too gather, and join together, to hunt in small packs among the winter herds. On crisp dark nights their songs are made all the more eerie in multi-part harmony. Winter, it turns out, is an active time in the North Fork. Murders of crows hold counsel in sunny, stubbed winter fields. Red-tails circle overhead hoping a mouse might wake up long enough to make a meal. 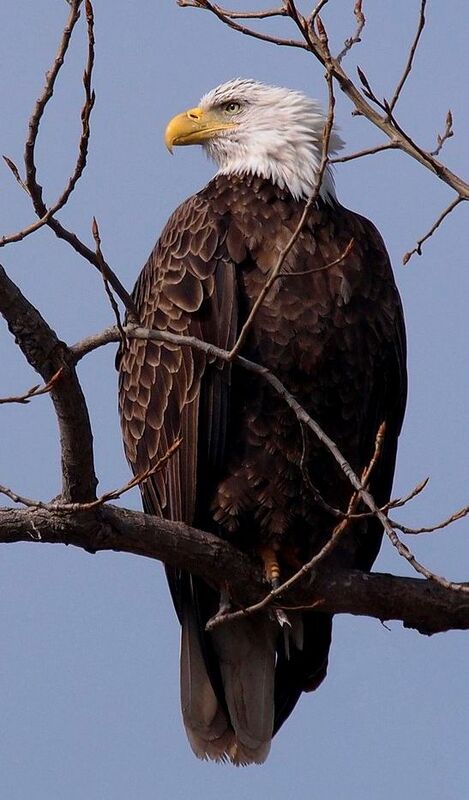 Bald eagles also concentrate in the valley in winter months, along the North Fork and other streams. It is not uncommon to see one perched stoically in a cottonwood, hoping a fish might appear in an unfrozen ripple of river. As March arrives the movement toward spring is marked each year by Sandhill Cranes that flock to Fruitgrowers Reservoir on Redlands Mesa. Bald eagle by Ken Thomas (KenThomas.us) via Wikimedia Commons. Sharing the valley with these animals is a privilege that recognizes the contribution they make to the character of this place. Colorado’s wildlife is a public trust we safeguard for perpetuity, a value that belongs to the land itself. We have settled here now, with work and decades built up our towns and farms where many species also make their home. Sharing that is a responsibility we ought not take lightly. We need to be smart about where and how we develop. We need to prioritize management for wildlife when making decisions about public lands and projects. Where projects go forward we ought to encourage best practices, making sure our four-legged, feathered, and finned neighbors remain welcome too.